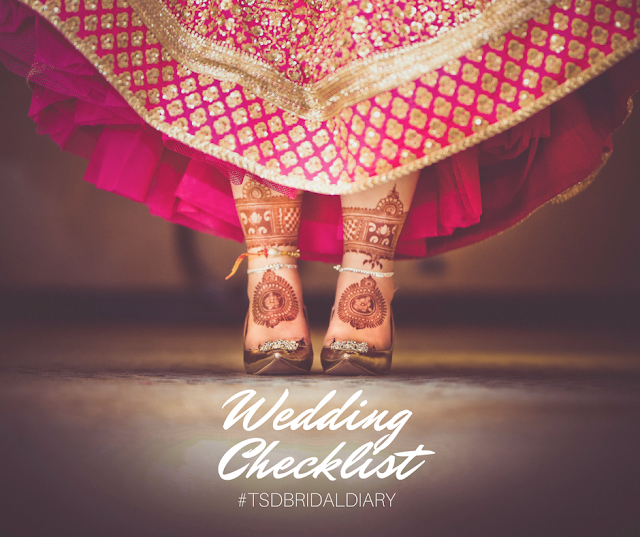 The Wedding Checklist That Kept Me Sane | #TSDBridalDiary | The Shopaholic Diaries - Indian Fashion, Shopping and Lifestyle Blog ! Sorry for the long break, but so far, you all must have got to know through my social media updates that I am officially married now. And I am finally writing my first blog post from my new house in Mumbai. When my wedding date had got fixed this January, I was totally freaking out about how to do the complete wedding shopping as well as planning for all the functions within 2 months. And while I did have my bestie who got married a couple of years back and my family to my rescue - who patiently handled my tantrums - I also had prepared this wedding checklist that kept me sane and plan things properly for my dream wedding. Prepare the Shopping List - Now comes the most important part - your trousseau and also other important shopping items like bridesmaid gifts, jewellery, footwear etc. Make a list of all the outfits + accessories that you would need for the main functions plus for the smaller functions so that you don't have to make the last minute trips to the market to buy the missing things. Like I had noted down the number of pairs of shoes I would need for the functions plus gifts like Mehendi party favours, bridesmaid gifts etc. Ideally, you should also prioritise your shopping and mark it in the wedding calendar with dedicated days for bigger shopping like your wedding lehenga, cocktail outfit, bridal shoes etc. so that you can tick off the things purchased as per the planner and you won't have to freak later about having missed something. Work out your Wedding Budget - While we all wish for a dream wedding, there's always a certain budget that we have when it comes to plan a wedding. So, once you have discussed a budget with your family, you can prepare a list and allot the budget for each service and item that you would need at your wedding. Also keep a budget for miscellaneous expenses that may incur at any time during the wedding timeline. Prepare a Vendor List - Unless you are hiring a wedding planner to take care of all the functions, decorations etc- you would need to carefully make a list of all the things that you want and need to prepare a vendor list like the Venue, Decorator, Catering, Wedding invitations, Makeup Artist, Mehendi Artist, Choreographer etc. If you have any certain themes in mind for your wedding functions, make a note of that too along with the dress codes that you might want to keep for any specific function and discuss with the particular vendor. Prepare a Pinterest Board - or an album in your phone with all the inspiration ideas that you have for your wedding style, lehenga, makeup, mehendi, venue decoration, Photo Booth etc. 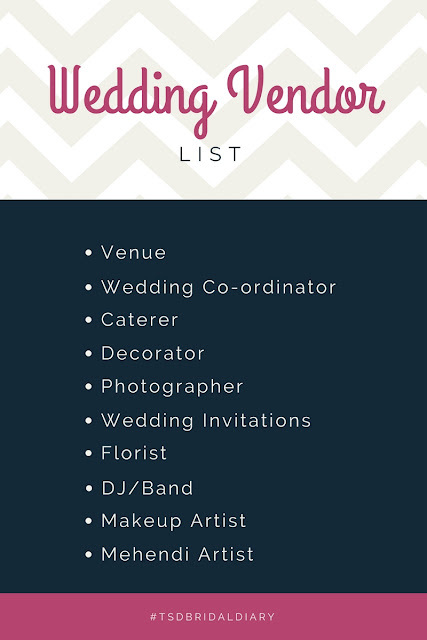 This will come really handy when you are meeting various vendors and want to share with them what exactly you are looking for your wedding. Finalise a Venue - With just 2 months to the wedding and that too during the most auspicious dates, it became really difficult for my family to find a venue of our liking as most of the venues were booked way in advance. Eventually, we had to finalise a venue that was in Gurgaon (while most guests were from Delhi) due to non-availability of similar hotels in Delhi. Therefore, make sure you don't waste any time in finalising the venue which should be done as soon as your wedding date is fixed. 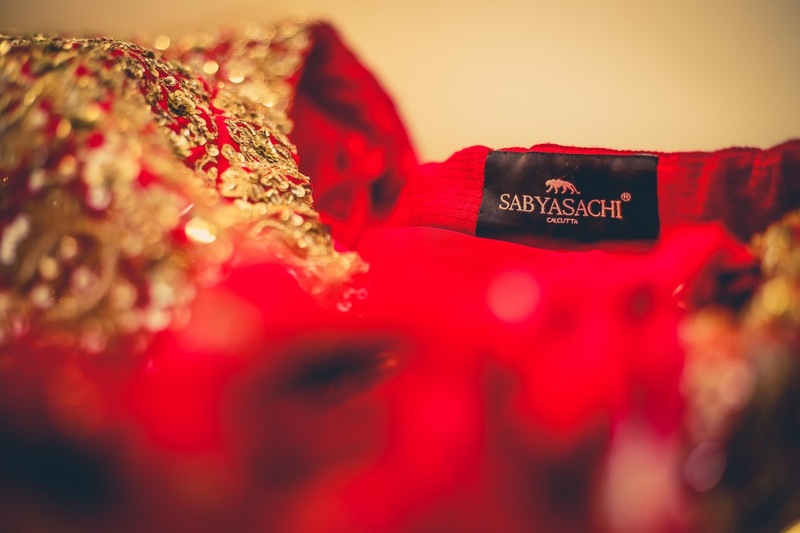 Book your Wedding Lehenga - While I would do a separate post on how I finalised my wedding lehenga and my experience around it, please note this as the most crucial step of your wedding shopping as soon as you know you are getting married. Most designers take a minimum of 45 to 60 days to make an intricately designed lehenga, therefore, you should dedicate the first few days of your wedding calendar exclusively for your lehenga shopping. Refer to Online Reviews/Recommendations - While I have been in Delhi for last 7 years, I had actually never done wedding shopping for a friend or relative here before. Therefore, I mostly had to rely on reviews about Makeup Artists, Mehendi artists, Photographers etc. online on popular wedding planning websites and then shortlisted a few vendors I wanted to meet. Thankfully, all the vendors that I found online ( I booked my MUA, mehendi artist and my wedding photographer based on online recommendation - I will be sharing their details in the upcoming posts) met my expectations and gave results as I desired. 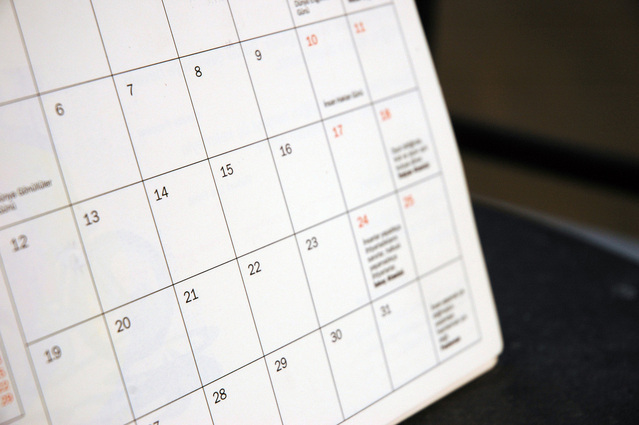 Prepare your Guest List - Make a guest list and if you are expecting guests from other cities, make sure you send them a Save-The-Date invitation so that they can plan their travel accordingly and RSVP about their attendance. Accordingly, you would be able to note down the expected number of guests and plan their accommodation for the wedding as well as Wedding Favours for the guests. 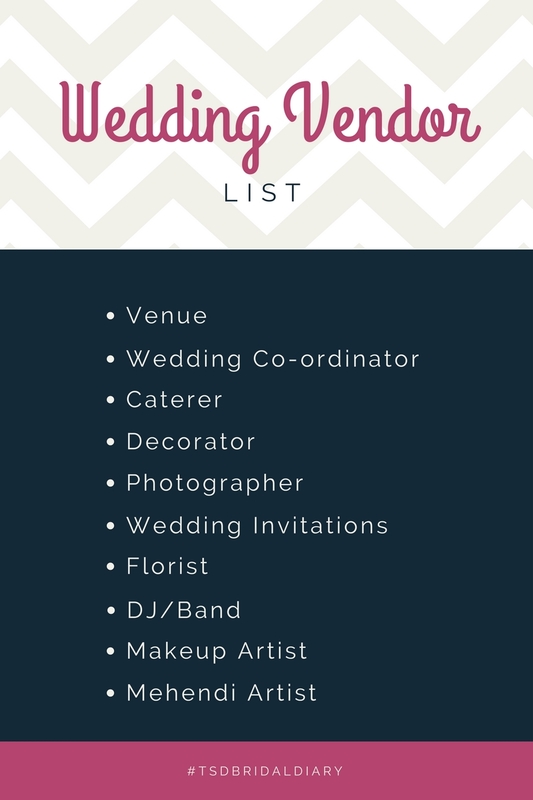 Well, these are the major things that had helped me plan my wedding smoothly with the help of my friends and family. There are many other wedding checklists available online that you can refer to and prepare one for yourself, depending upon the time that you have after your wedding date is fixed.